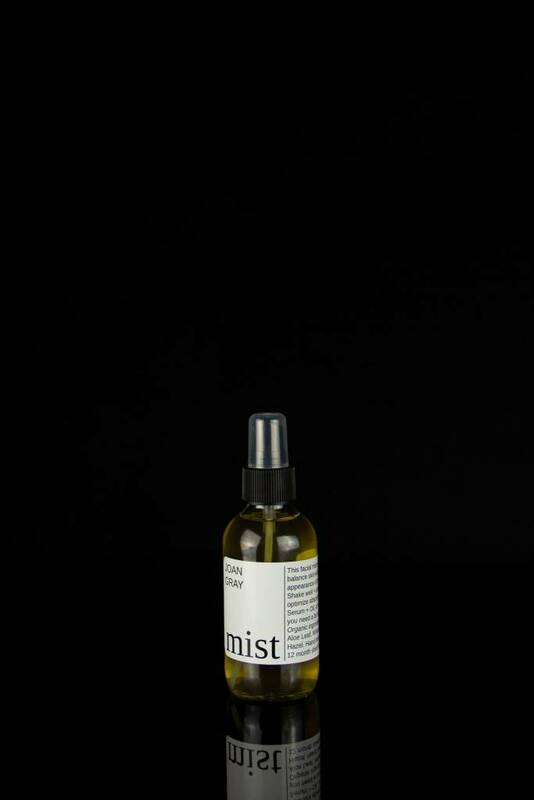 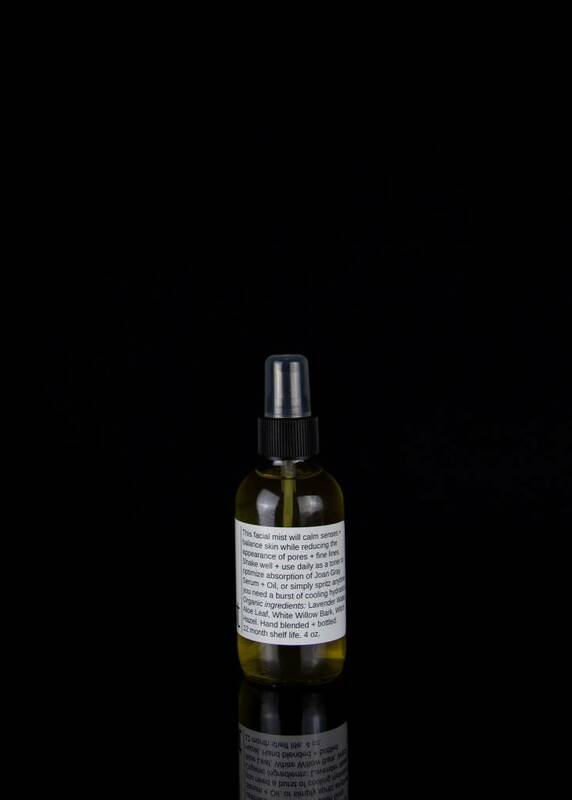 This Mist will calm senses and balance skin while reducing the appearance of pores and fine lines. 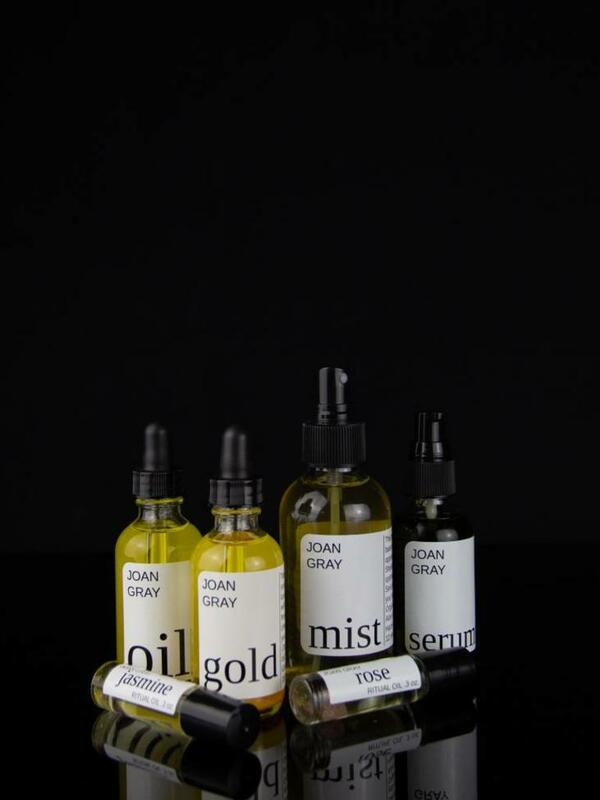 Shake well and use daily as a toner to optimize absorption of Joan Gray Serum and Oil, or simply spritz anytime your face needs a burst of cooling hydration. 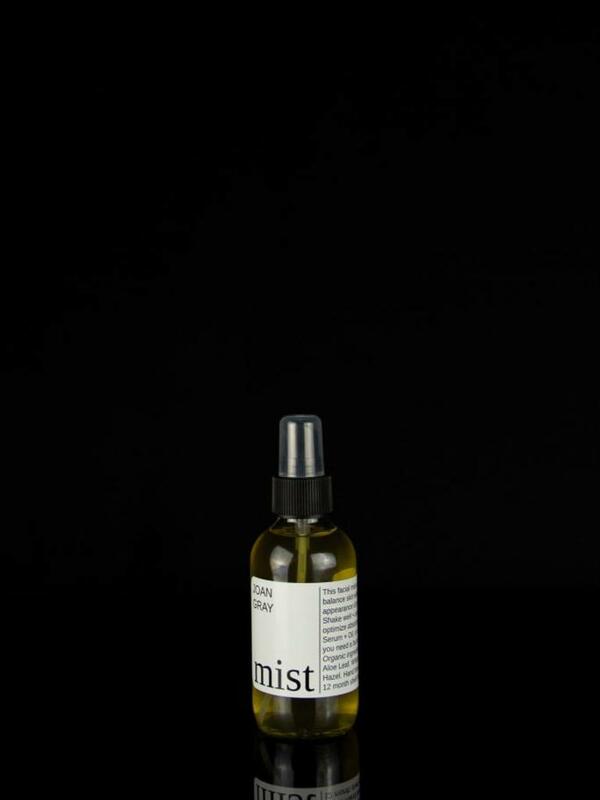 4 oz glass misting bottle. 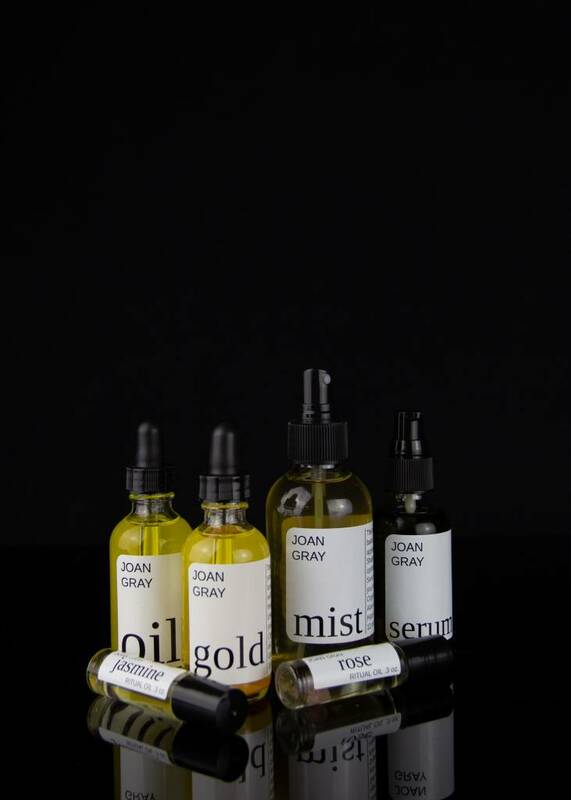 Always organic, vegan, cruelty-free, hand-blended and bottled.